We wish our Partners a better 2019 than the previous year. Grupa PSB will do its best to increase the turnover with Partners. December financial results of PSB’s Central office was above 136 mln PLN, probably the income of the whole year would be 2,72 billion PLN, which is 13% more, compared to 2017. It is too early to give a detailed summary of PSB network results in 2018, but generally the year was good for our branch. Developer construction noted another good season. Many forecasters predict lower demand dynamics in 2019. Good situation was noted also in Profi centres and wholesalers. 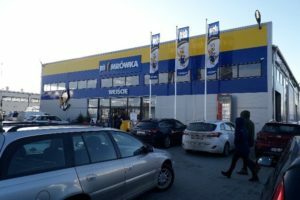 Second year, Mrówka outlets noted one-digit increments – in this sector price increments have not reflected on the sale increment. The strategy of network expansion continued – this year PSB network was enlarged by 7 Profi centers and 19 Mrówka outlets. It is much less than in the previous years – the investments were postponed because of low availability of construction services and their higher prices as well as by administrative issues. Grupa PSB terminated cooperation with four shareholders that did not fulfil PSB standards. Few data about Grupa PSB activities in 2018 – PSB’s presence on Internet and social media was visibly increased. After the Christmas break the Central office team kept having meetings with Partners to establish conditions for cooperation in the new season. Presently, 340 Suppliers confirmed their presence during PSB Fair in March. The plan of stands is ready. Soon, the new information about this event will be sent. This letter traditionally consists of prices trends and sale data of the Central office in assortment groups. 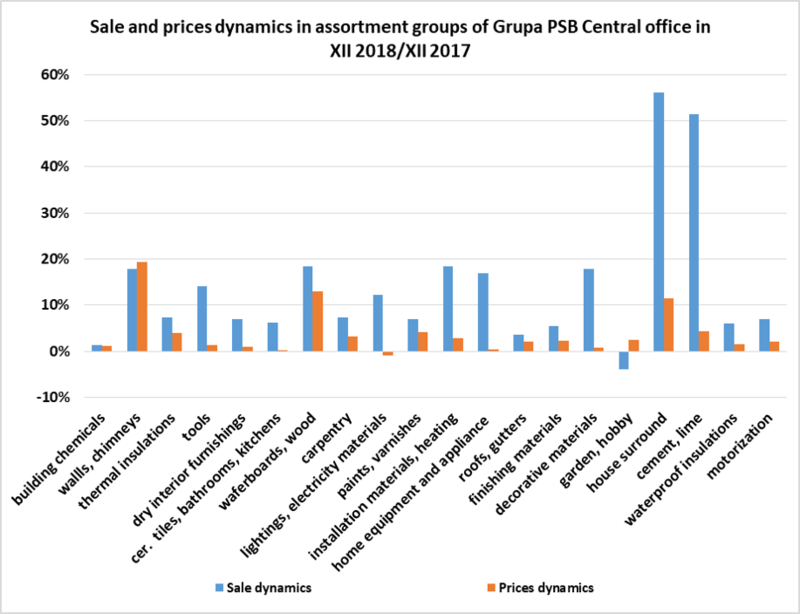 Sale and prices of the PSB Central office in December 2018 – PSB Central office revenue from building materials as well as home and garden products sales in December 2018 was estimated 136 million PLN and it was 11% higher, compared to December 2017. Demand in December 2018 was increased in 19 assortment groups, compared to December 2017: house surround (+56%)*, cement, lime (+52%)*, installations, heating (+18%), waferboard, wood (+18%), walls, chimneys (+18%), decorative materials (+18%), home equipment and appliance (+17%), tools (+14%), lightings, electrics (+12%), thermal insulations (+7%), doors, windows (+7%), dry interior furnishings (+7%), paints, varnishes (+7%), motorization (+7%), ceramic tiles, bathrooms, kitchen assortment (+6%), waterproof insulations (+6%), finishing materials (+6%), roofs, gutters (+4%) and building chemicals (+1%). The slump was in garden, hobby (-4%). *Such high increment dynamics in those assortment groups was a result of last year’s low base, good weather in December as well as prices increments in January 2019. Prices in December 2018 were increased in 19 assortment groups, compared to December, 2017: walls, chimneys (+19.3%), waferboard, wood (+13%), house surround (+11.4%), cement, lime (+4.4%), paints, varnishes (+4%), thermal insulations (+3.9%), doors, windows (+3.1%), installations, heating (+2.9%), garden, hobby (+2.4%), finishing materials (+2.2%), roofs, gutters (+2%), motorization (+2%), waterproof insulations (+1.5%), tools (+1.3%), building chemicals (+1.2%), dry interior furnishings (+1%), decorative materials (+0.7%), home equipment and appliance (+0.3%) and ceramic tiles, bathrooms, kitchen assortment (+0.3%). The slump was in lightings, electrics (-0.9%). 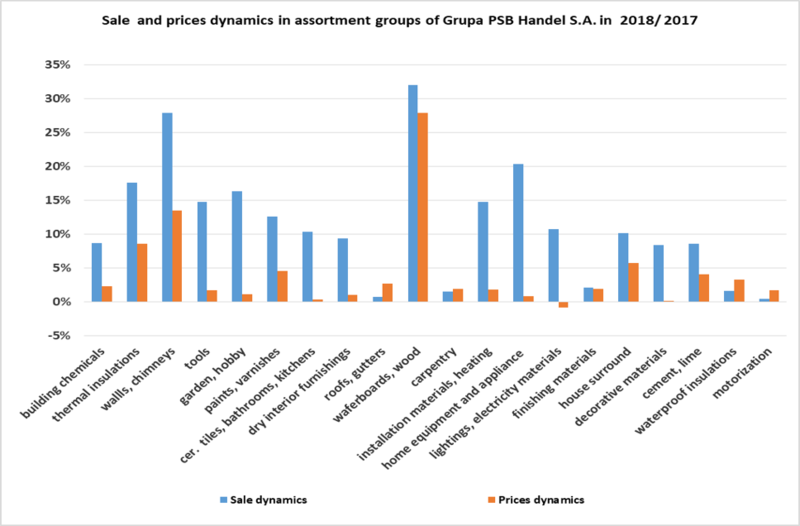 Revenue of Grupa PSB in 2018 was 13% higher compared to the same period of time last year. The total demand in 2018 was higher in all assortment groups, compared to the year 2017: waferboard, wood (+32%), walls, chimneys (+28%), home equipment and appliance (+20%), thermal insulations (+18%), garden, hobby (+16%), tools (+15%), installations, heating (+15%), paints, varnishes (+13%), lightings, electrics (+11%), ceramic tiles, bathroom and kitchen equipment (+10%), house surround assortment (+10%), dry interior furnishing (+9%), building chemicals (+9%), cement, lime (+9%), decorative materials (+8%), finishing materials (+2%), waterproof insulations (+2%), doors, windows (+2%), roofs, gutters (+1%) and motorization (+0.4%). The prices in 2018 were higher in 19 assortment groups, compared to the year 2017: waferboard, wood (+27.9%), walls, chimneys (+13.5%), thermal insulations (+8.6%), house surround assortment (+5.7%), paints, varnishes (+4.5%), cement, lime (+4.1%), waterproof insulations (+3.3%), roofs, gutters (+2.7%), building chemicals (+2.3%), finishing materials (+1.9%), doors, windows (+1.9%), installations, heating (+1.8%), tools (+1.7%), motorization (+1.7%), garden, hobby (+1.1%), dry interior furnishing (+1%), home equipment and appliance (+0.8%), ceramic tiles, bathroom and kitchen equipment (+0.3%) and decorative materials (+0.2%). The price slump was in lightings, electrics (-0.9%). There was a reconstruction of PSB’s websites: www.grupapsb.com.pl and www.mrowka.com.pl in 2018. Its purpose was to optimise the subpages connected with products, advices, PSB points of sale and promotional leaflets and to create a dedicated landing page for suppliers’ products. 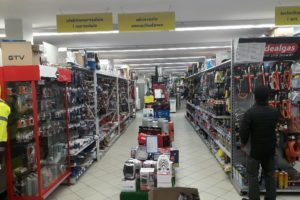 Availability of products in Mrówka outlets was added. In the first quarter of this year same possibility will be added for products in other PSB points of sale. The above mentioned optimisation reflected on higher movement on both websites. Number of sessions on Mrówka website was increased by over 50% reaching the level of almost 5 mln sessions yearly, while on PSB website it was 10% better (this website was optimized in the second half of the year) reaching the level of 1 mln sessions yearly. Also, number of users of both websites increased: 3.2 mln (45% increment yearly) users on Mrówka website and 800,000 users on PSB website (7.5% increment) yearly. 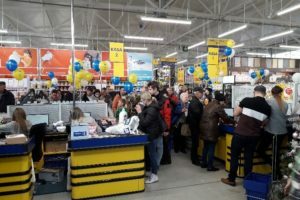 286th Mrówka outlet in Kępno – was opened on 8th December. The shop has 2,100 m2 sale surface with 800 external garden and employs 30 people. 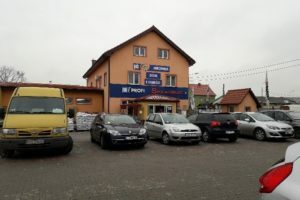 287th Mrówka outlet in Środa Śląska – was opened on 15th December by Składbud company. The shop has 1,000 m2 sale surface and 350 m2 of external garden. The new outlet is connected with Profi centre. There were over 16,000 publications in the press and Internet in 2018 which is 20% more than in the previous year. The fourth quarter of year 2018 gave 5,100 news about Grupa PSB. All publications can be divided into the following: news and opinions of PSB Central office about market trends, prices of construction materials and important events in Grupa PSB (56%), news about Mrówka outlets (36%), news about Słoneczny Zdrój hotel (7%) and PSB-Profi (2%).